Clarins Hydra-Essentiel Bi-phase Serum - A Water Serum that Works Like Cream ? Towards the end of last year, Clarins launched it's new serum which intensively hydrates and helps restore the skins natural system, The Clarins Hydra-Essential Bi-phase serum is something uniquely new and effective but let's find out if it's worth the price tag..? 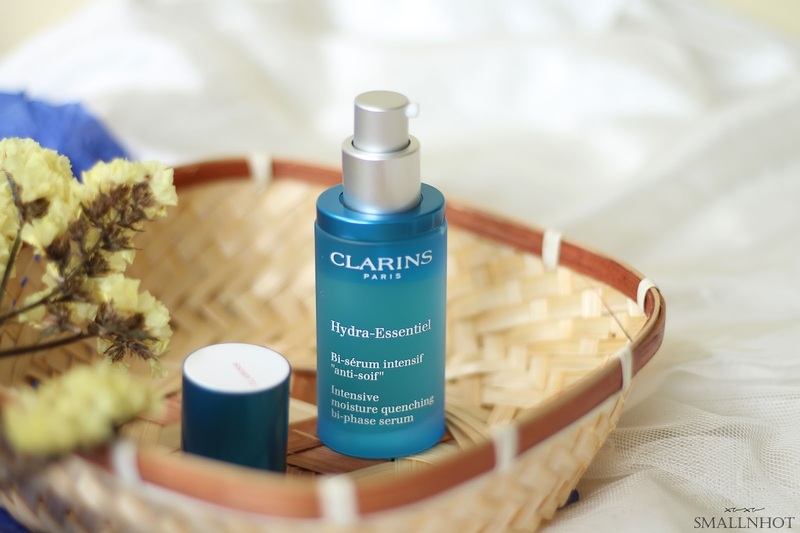 Clarins Hydra-Essentiel Bi-phase Serum works at all levels of the skin to restore natural hydration system and help skin recover all the qualities of perfectly moisturized skin. An incredibly lightweight feel, which is quickly absorbed with no oily feel. You'll LIKE the easily absorbed water-like texture. You'll HATE it cause it finishes quite fast and the price point of it. 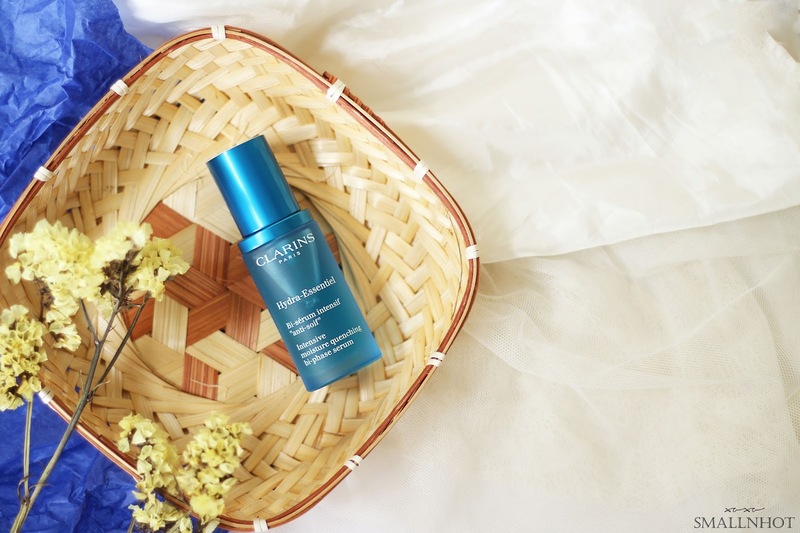 It's no surprise that a lot of us would love the texture of the Clarins Hydra-Essentiel Bi-phase Serum, that is billed as the water-like, invisible and comfortable texture. This is not my usual oil or cream serum, but seeing as it sinks into the skin effortlessly within seconds, is certainly a plus point for my oily t-zone. The texture is incredibly thin and literally was like water, so it never feels heavy on the skin, instead you probably will be asking 'Is it there yet ?'. Well, YES it is. And because of the water-like texture, you definitely will not feel the result overnight. After a couple weeks of applying, you will notice the suppleness and how easy it is to apply makeup on your skin. So those dry patches very manageable. However, this is not the cheapest hydration serum, but if you do struggle with the oily and heavy finish from serum, absolutely pick this up instead.